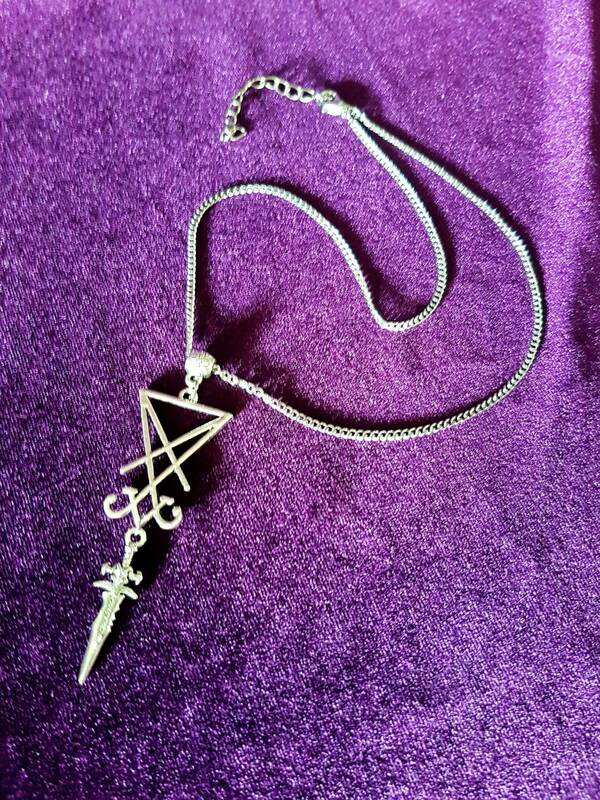 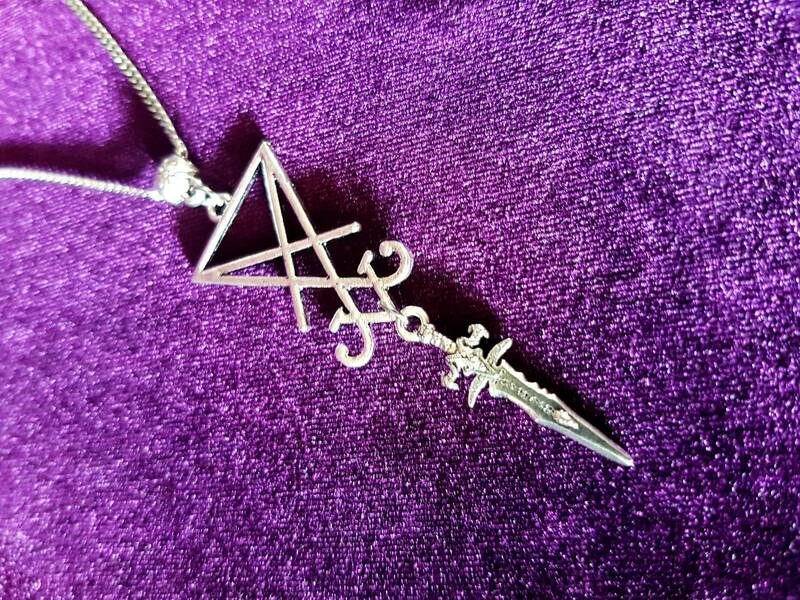 Sigil of Lucifer Athame Pendant. 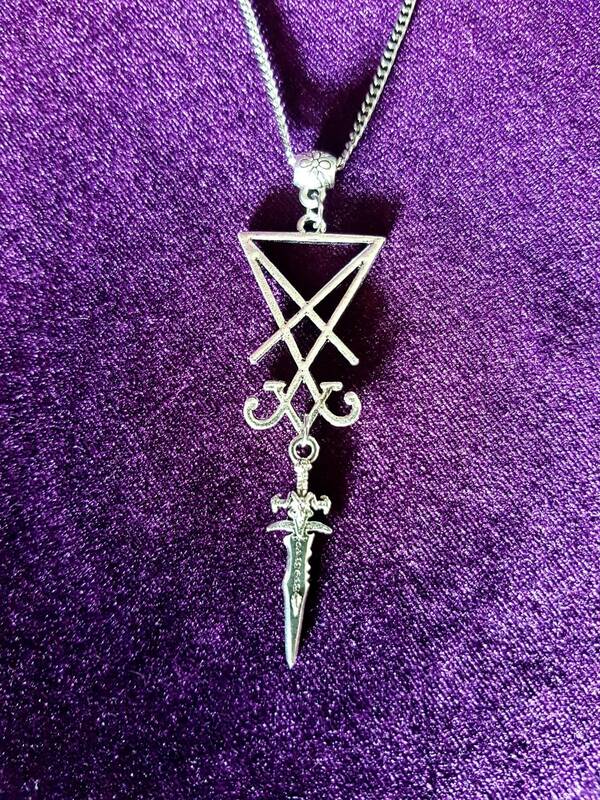 - 3cm big Sigil of Lucifer. 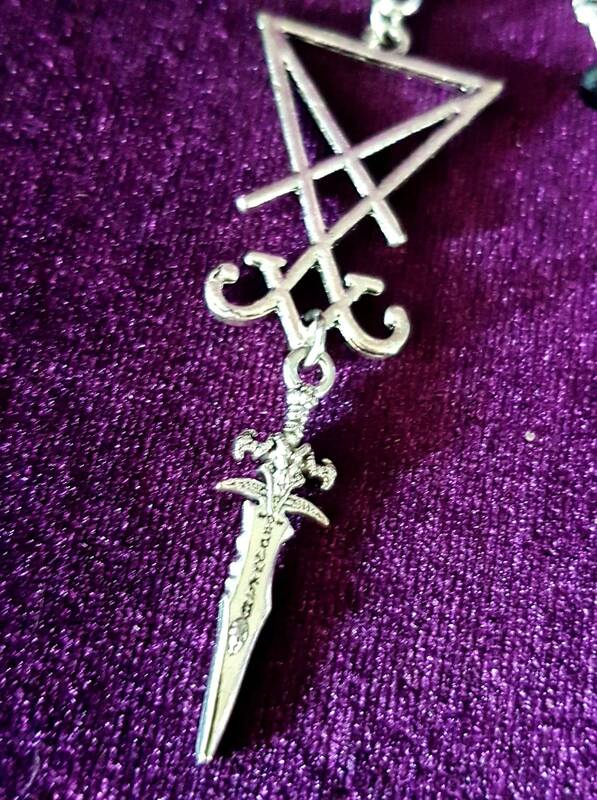 - 2cm mini dark athame.